Start your journey to the most beautiful destination Kathmandu with the arrival at Tribhuwan International Airport where one of our representatives will receive you and help you to settle down in the pre-booked hotel. Enjoy rest of the day at leisure activities or exploring the scenic surroundings with dinner and overnight stay at the hotel. After relishing delicious breakfast proceed for the sightseeing tour of Kathmandu with a visit to the most revered Hindu temple Pashupatinath. Located on the banks of Bagmati River it is a UNESCO World Heritage site and is a sprawling collection of temples, ashrams, inscriptions and images. 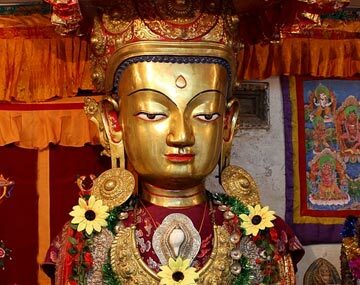 Next visit the Bouddhanath, the holiest shrine for the Buddhist culture and then proceed towards Patan, the second largest town in the valley which is quite famous for its architectural masterpieces. Don’t miss a visit to Durbar Square surrounded by both Hindu and Buddhist temples built in pagoda style embellished with intricately carved exteriors. After some rest proceed to visit the Swayambhunath the golden spire of the 5th century adorned with colourful fluttering of prayer flags is one of the most recognizable symbols in Nepal. After enjoying the whole day return back to the hotel for dinner and overnight stay. On the 3rd day of your Kathmandu Pokhara Nagarkot trip drive towards Nagarkot which is situated a distance of 32 Km from Kathmandu. Upon arrival check into the pre-booked hotel and take some rest. It is among the best places for viewing sunset and sunrise along with mountain viewing around the Kathmandu valley where you can see the mesmerizing views of Dhaulagiri which is in the west to Kanchenjunga which is in the east. Enjoy dinner and overnight stay at the hotel. Today after enjoying breakfast proceed for Nagarkot. It is 231 Km from Pokhara and takes around 4 hours 37 minutes to reach it. En route you have an option to enjoy river rafting or visit the Manakamma Temple where you can reach by a cable car. Upon arrival, check into the pre-booked hotel and take some rest. It is the best destination to enjoy the magnificent views of the Himalayan and that too from your hotel balcony. It stands right on the outer boundary of Kathmandu Valley and is covered with thick forest of pine trees. The clear sky might let you see the peak of Mount Everest. Enjoy dinner and overnight stay at the hotel. After breakfast proceed for the excursion trip to Sarangkot which is among the popular tourist attractions to enjoy the great view of Pokhara. Situated just 13 Km from lakeside Sarangkot is the highest viewpoint to watch the sunrise. Visitors can also enjoy paragliding over here and capture the magnificent view of Dhaulagiri Mountains and Annapurna Range. After lunch visit the Bindebasini Temple which is one of the oldest temples of Pokhara along with the Old Bazar. Other major attractions that one can explore here include Devi’s Fall and Gupteshwar Cave which is popular for its natural limestone deposits. Return back to the hotel for dinner and overnight stay. On the 6th day after morning breakfast, drive back to Kathmandu which is around 207 Km from Pokhara. Upon arrival check into the pre-booked hotel and take some rest. Enjoy rest of the day at leisure activities like shopping or visit the casinos and try the lady luck with dinner and overnight stay at the hotel. Today after enjoying breakfast enjoy your day at leisure activities like visiting the famous monasteries of the city, the beautifully restored Garden of Dreams, Hanuman Dhoka, Narayanhiti Palace, Chauni Museum etc. If you love shopping then you can visit Indra Chowk to eat local food, buy beads and bangles etc. Return back to the hotel for dinner and overnight stay. On the last day of Nepal tour check-out from the hotel after morning breakfast to board a flight for onward journey. Kathmandu is mesmerizing and a beautiful capital city of Nepal. It is a buzzing metropolis of the country full of natural beauty and cultural diversity that allure visitors from all corners of the world to enjoy a great holiday trip in the most scenic natural surroundings. Its jam packed alleyways, medieval temples, dodging trekking routes, amazingly beautiful mountain ranges surely steal your heart. So book Nepal tour package with us now and enjoy the most beautiful holiday trips of your life. Travelling is therapeutic and a rejuvenating experience. It helps you to explore new places, meet new people, experience different culture and to learn new things. BookOtrip is an international travel management company that helps you to enjoy the best holidays of your life by offering you best deals on flights, hotel bookings, car rentals, travel insurance etc so that you can enjoy a fun-packed holiday trip with your family and loved ones. Do not treat this quotation mail as a confirmation of booking, as we are not holding any booking at the time of quotation. Price and services can be changed at the time of confirmation. Confirmation of booking is only based on written communication. Vehicle will not be at disposal but will perform its respective duties as per the itinerary only. Point to point. A valid Indian passport or an election Id is the only valid document for adults (18 yrs & above) for travel to Kathmandu by air. For children below the age of 18 years the school or college id suffices. You can purchase a Sim from Telephone companies known as “NCell & NTC at the International Airport Kathmandu. What you need to this is only a Passport size photo and a copy of the passport. In case of hotel unavailability, alternate option will be provided. Rates are subject to change in case of any changes in state taxes, Govt. taxes etc. Rates are not valid during National Holidays / Festivals/ Events etc. Enjoyed a lot in Kathmandu holiday trip, great experiences Thank You to BookOtrip Team !! !